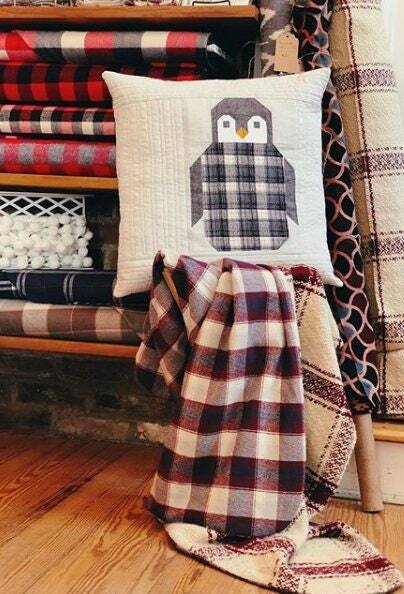 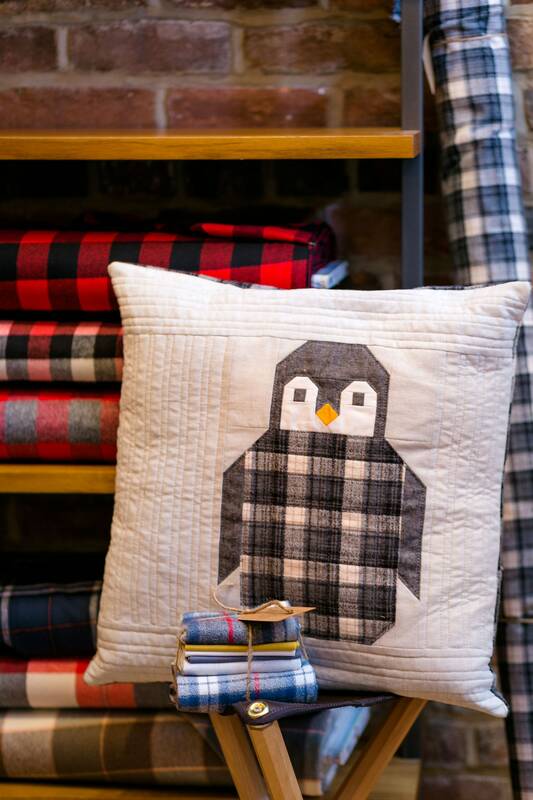 These adorable patchwork penguins are made using conventional piecing techniques, no paper piecing required! 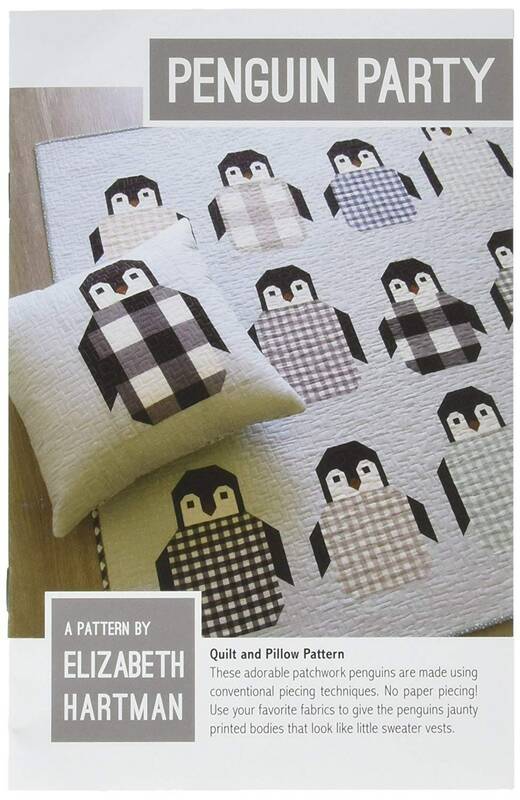 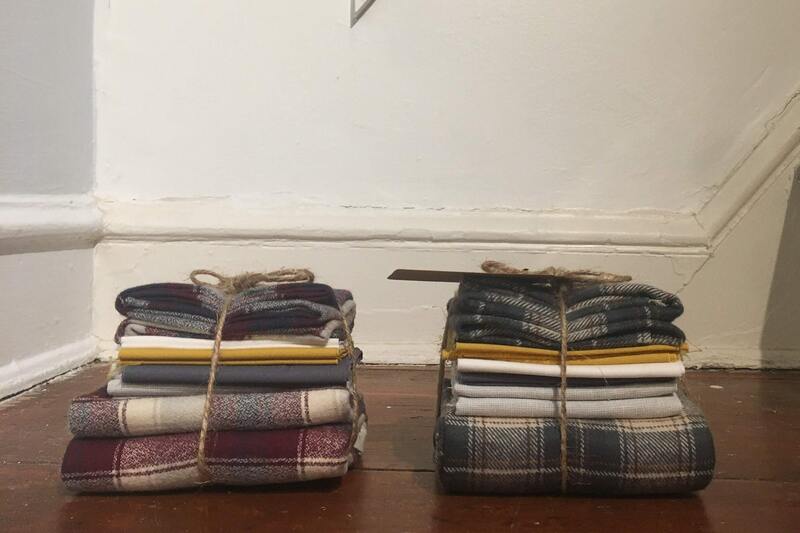 Kit's include the pattern and instructions for the pillow, child quilt, and lap quilt, and an assortment of Robert Kaufman fabrics to complete the 20"x20" pillow cover (pillow not included). 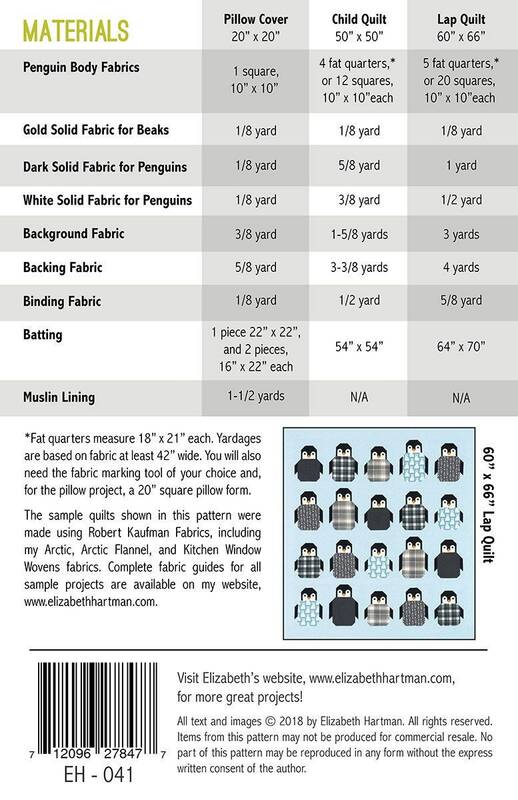 A sampling of our precut kit fabrics are shown. 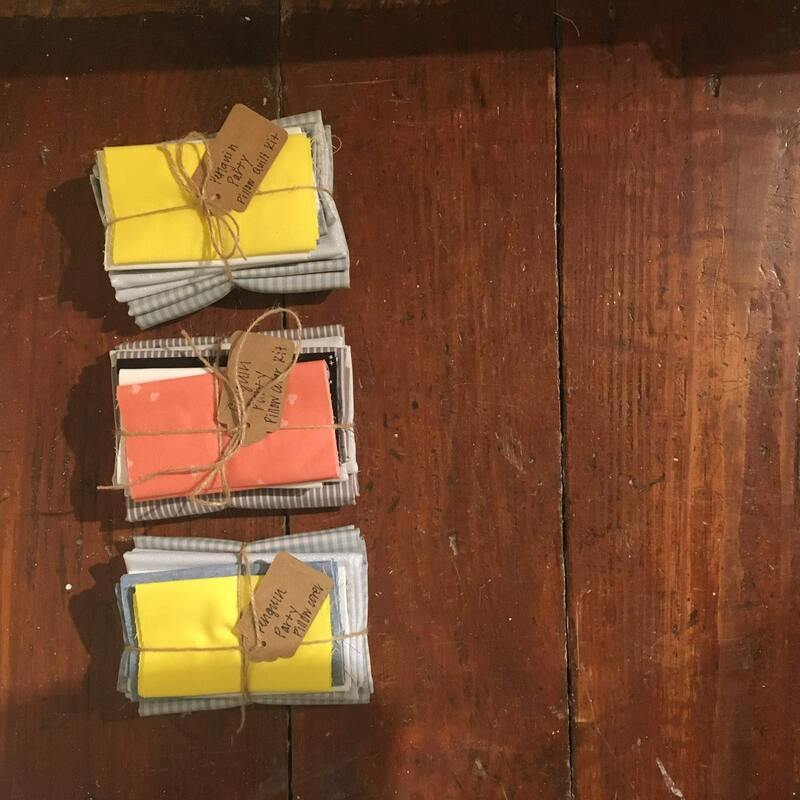 Please message us if you have a specific request and we will do our best to accommodate.